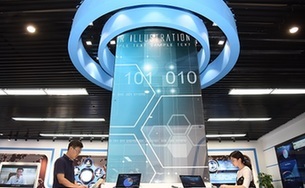 US chip giant Qualcomm Inc is considering integrating part of its server chip business into Guizhou Huaxintong Semiconductor Technology, its joint venture with China's Guizhou provincial government, said Cristiano Amon, president of Qualcomm. The remarks came after Huaxintong said it would roll out its first server chip by the end of this year. The move is part of Qualcomm's broader push to tap into China's booming cloud computing market and take on its US rival Intel Corp's dominant position in server chips. Amon said Qualcomm will not withdraw from developing data center technologies, and the company is evaluating whether it is possible to integrate part of its server chip business into Huaxintong. Based in Guiyang, Huaxintong was established in 2016. Qualcomm owns a 45 percent stake in the joint venture, with the Guizhou provincial government accounting for the remainder. 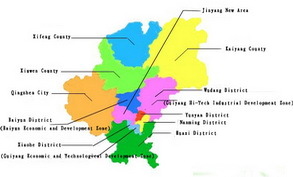 The total investment in Huaxintong has exceeded 2.85 billion yuan ($446 million). Wang Kai, CEO of Huaxintong, unveiled StarDragon as the brand for the company's server chips and said its first-generation server chip is built using the advanced chip manufacturing process of 10 nanometers. 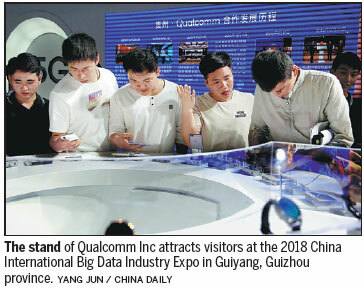 The company's team has not only absorbed licensed technologies from Qualcomm, but also worked out the customized encryption algorithm according to China's security standards, Wang added. Designed on the basis of ARM architecture, its chips feature far lower power consumption than Intel's X86-based processors, which can greatly help reduce energy costs. Power consumption accounts for around 30 to 50 percent of IT costs, according to Li Guanyu, deputy head of the informatization and software service department at the Ministry of Industry and Information Technology. "As the demand for real-time data processing capabilities will surge in future, the global industry desires high-efficiency, low-energy and low-cost servers," Li said. In 2017, the market size of the global cloud industry hit around $260 billion and that figure will exceed $410 billion in 2020, highlighting the huge potential of the industry. The China market is expected to grow at a compound annual rate of 30 percent, according to data from market research company Gartner Inc.